My Mum and Mothers day in the USA. My Mother lives in Florida, I haven’t seen her for a long time, we are planning a big catch up in May and I can’t wait. We also have the conundrum of choosing what Mothers day to celebrate because the US has a different date for Mothers day, than the one we celebrate in the UK. 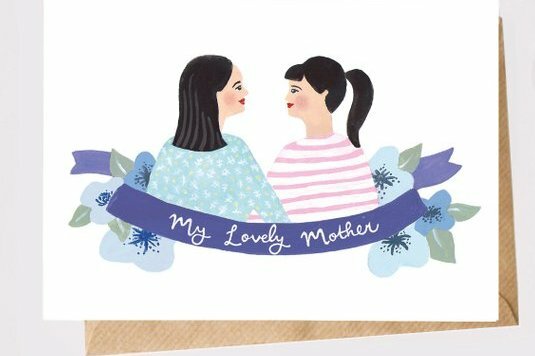 I buy Mothers day cards on the earlier UK date then save and send them to her later in time for the US date. I have been known to lose them after keeping them in a ‘safe’ place for so long! Disclosure/ AD/ This post is not paid or sponsored, but does contain affiliate links which means if you click through & buy I may receive a tiny commission at no extra cost to you. My Mother lives in Florida and I haven’t seen her for a long time, we are planning a big catch up in May and I can’t wait. Mum if you are reading this look away now! A cute & contemporary floral necklace. Each Bloom necklace has a striped 3D acrylic blossom with contrasting foliage and adorned with a sterling silver trace chain. 3. 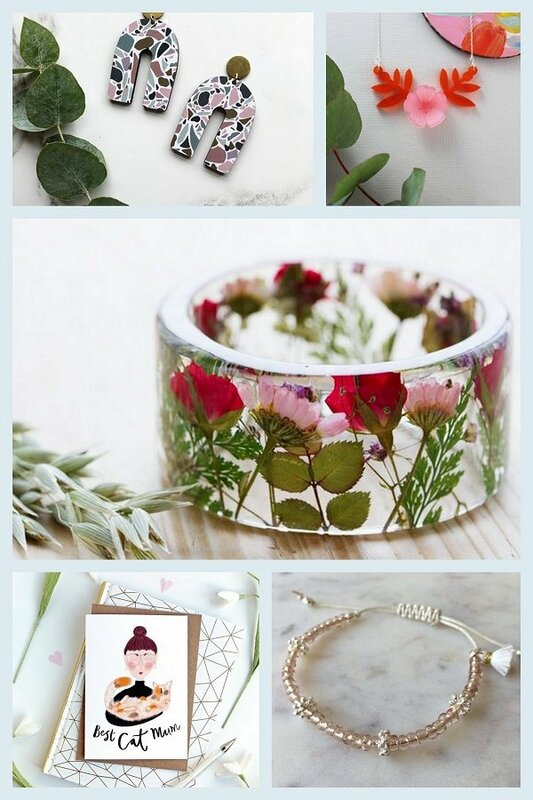 Resin bangle filled with real flowers. A beautifully illustrated Best Cat Mum card for all those cat mums out there. Store your favourite family recipes in style with our wooden recipe box! 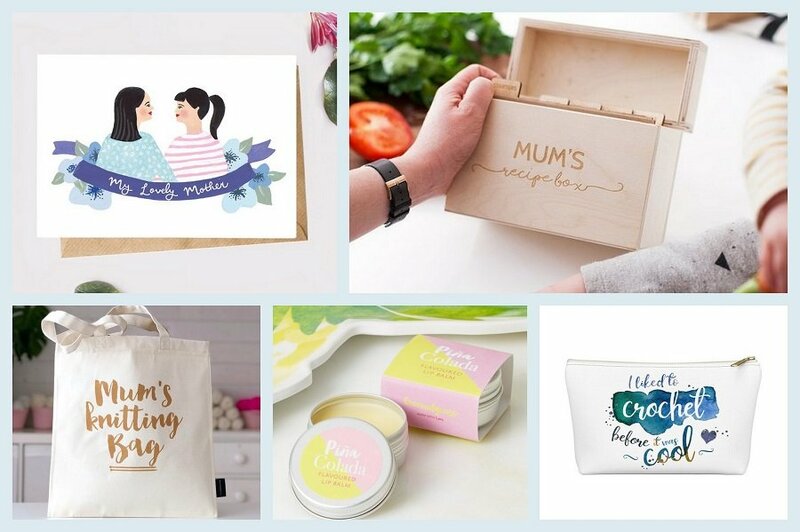 An ideal foodie gift for mum this Mother's Day! Each recipe box comprises of five wooden recipe dividers alongside a name of your choice beautifully engraved onto the front. This knitting project bag makes a lovely gift for any knitting Mums out there! It reads 'Mum's Knitting Bag' in a gorgeous metallic gold script and is made from a strong natural canvas that will be more than up to the task of holding your Mum's latest work in progress! This cocktail gift is also guilt free as is contains no alcohol and is made with organic ingredients and contains a nourishing shea butter. T-bottom pouches vary from small to large and can be used for pretty much anything. They make excellent pencil cases and cosmetic travel bags. They are constructed of a durable material with a zipper closure. 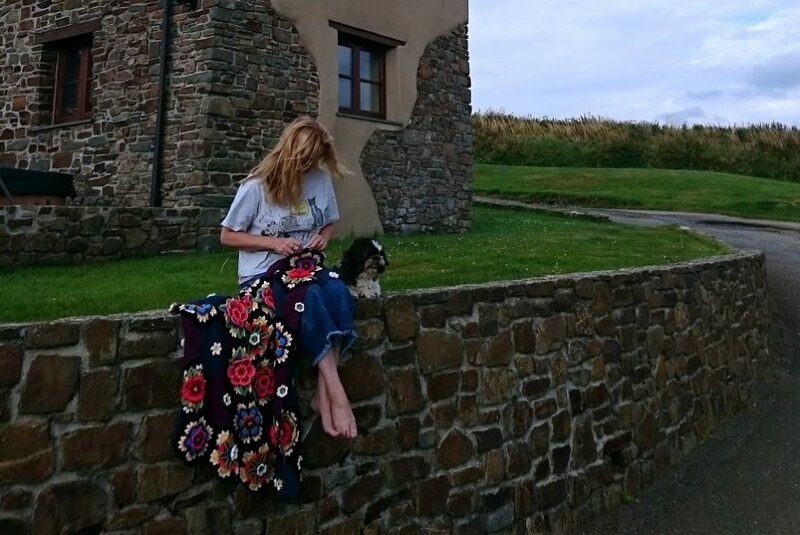 This one is by Janie Crowfoot I love her patterns… here is one (Fridas’ garden) that I made a couple of years ago, whilst we were spending a week in Devon! 1. Janie Crowfoot 4 Crochet blanket patterns. Previous Mothers Day posts that may provide more inspiration! Previous Post Our Home: Eclectic Industrial Lighting made by Marc. Hello! 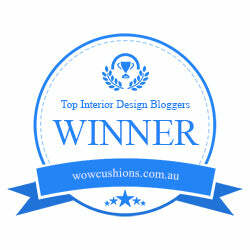 I regularly read your blog, but can never find the right place to leave a comment! However, I did find this space today and wanted to say how I enjoyed the post on your mother leading up to Mother’s Day! 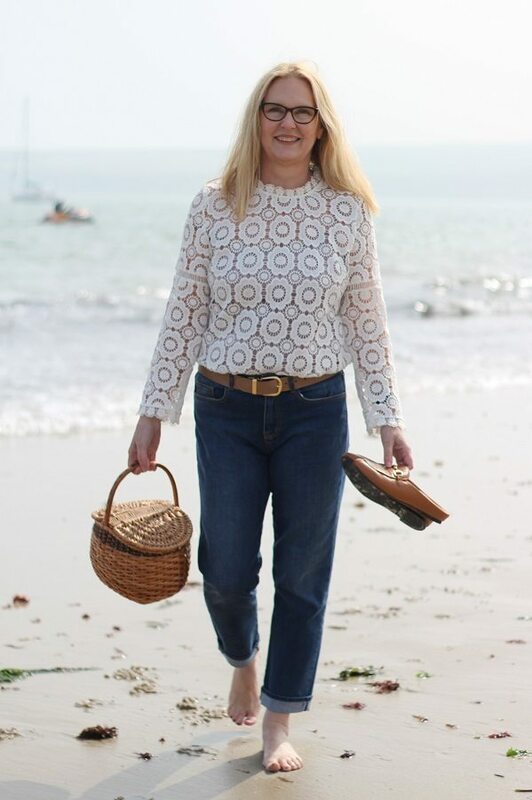 Your mum looks fabulous at 76 (the same age as me!) and is so stylish too. I believe your mother and I have a very similar and positive outlook on life! I love all the gift ideas you have included for Mother’s Day and really love the wooden recipe box available on Etsy! Sandra Hello! …thank you for taking the time to comment. I agree a positive outlook will always enhance your life and of course keep you young and happier! Wait until my Mum reads your comment, she will love it. That wooden box is fab and can be adapted for various uses, i think I would fill it with my childhood photos?